Stories of fire and light; stories of hot pursuit and endless patience. Let enthralling storytelling and exquisite music take you deep into the earth and to the World-Beyond-The World. 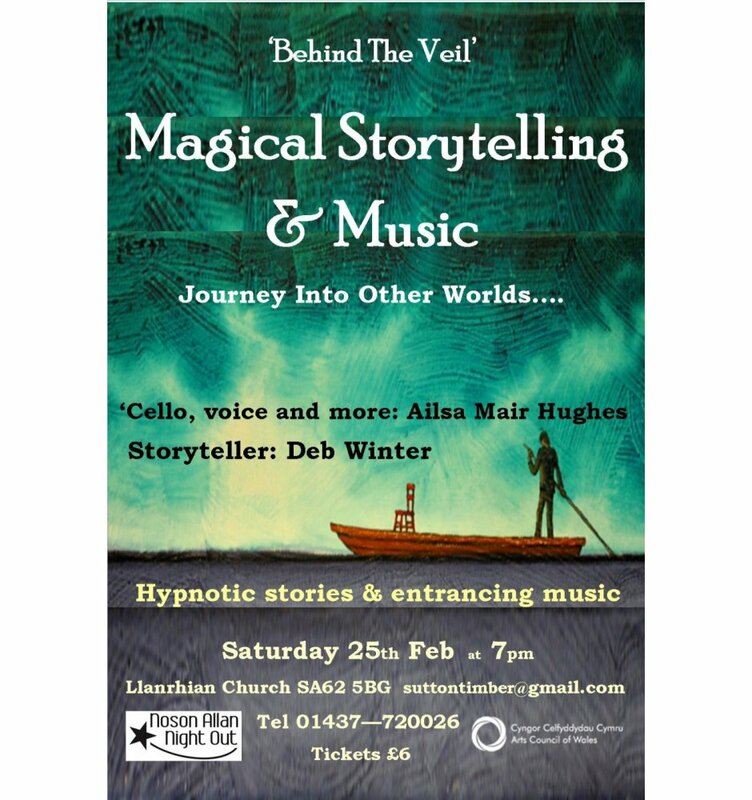 For this show Deb weaves her words with the powerful, intuitive music of Tinc Y Tannau (Sianed Jones & Ailsa Mair Hughes, bass viols and voices) to draw you into the woods and out onto the wild waves of your imagination. 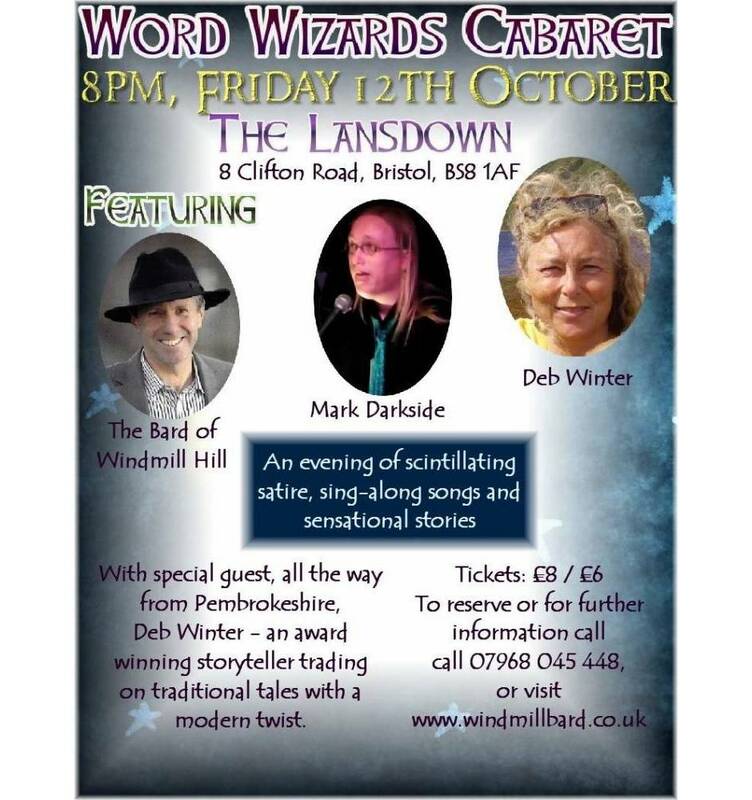 Also see The Bard of Windmill Hill at: BRISTOL FESTIVAL OF LITERATURE - HOW THE WEST WAS LOST. Venue: National Botanic Garden of Wales, Middleton Hall, Llanarthne, Carmarthenshire. SA32 8HN. Including: Scaramella VOCAL ENSEMBLE; Daniel Davies CELLIST; Maggie Harris POET; Paul Steffan Jones POET; Deb Winter STORYTELLER. 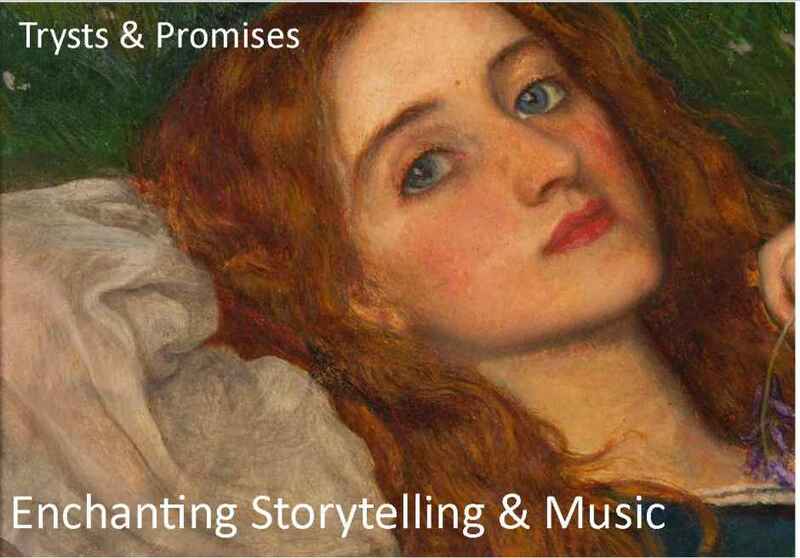 Storytelling Workshop: Wednesday, 2nd May 2018, 10am - 4.00pm. Venue: St. Nicholas Village Hall, St. Nicholas, Goodwick, Dyfed, SA64 0LG. 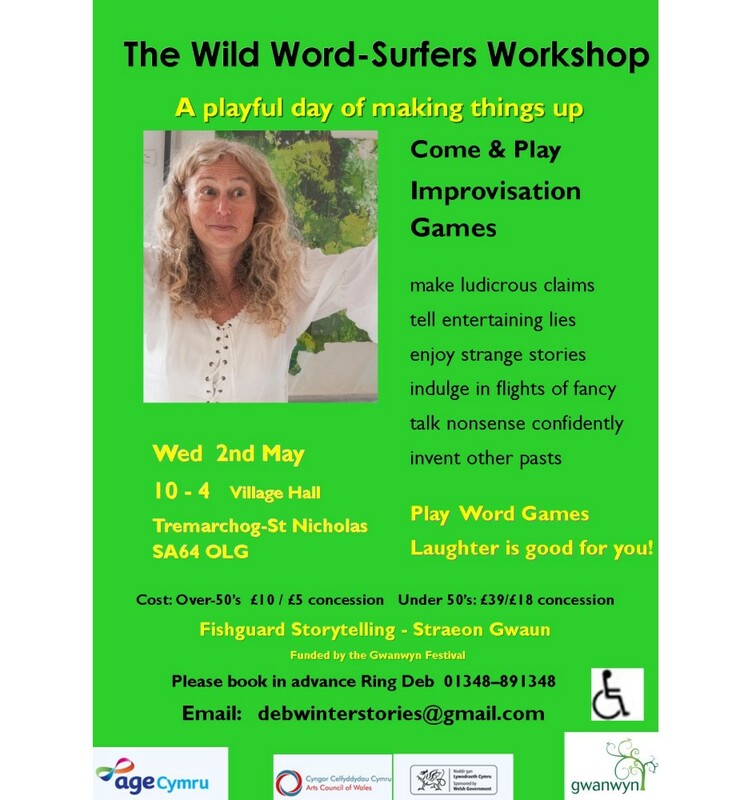 A friendly ‘Improv’ workshop - games and exercises involving verbal improvisation - making stuff up is the name of the game. Flights of fancy, ludicrous claims, entertaining lies, strange stories and daft ideas. Surprise yourself with your own inventiveness and spontaneous effusions. Not to mention volcanic eruptions of creativity. Useful for developing your spontaneous speaking skills, verbal inventiveness and ‘thinking on your feet’, but also just great fun. 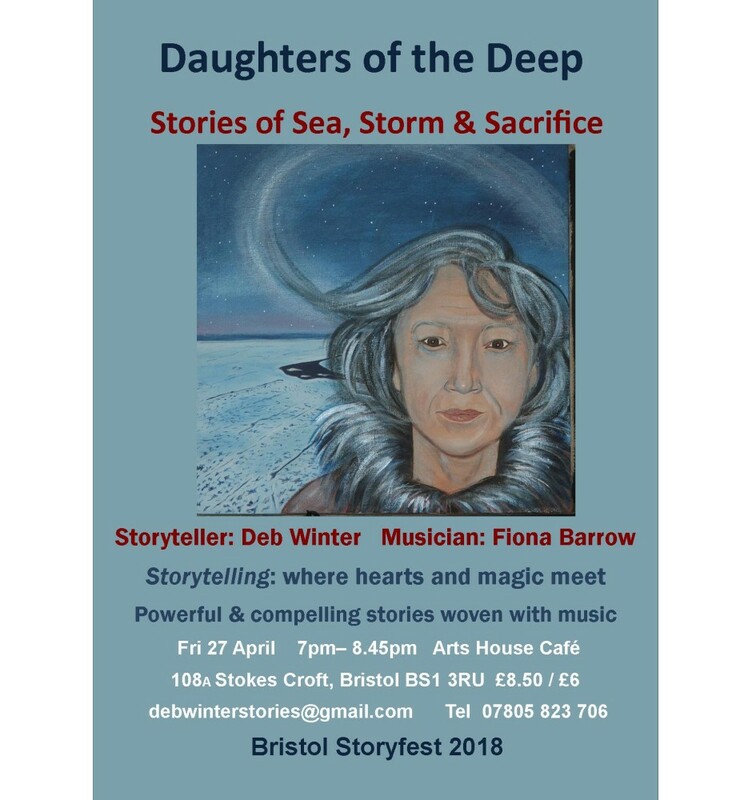 Great for embryonic storytellers who’d like to experiment with spontaneous storytelling and improvisation in a friendly, supportive group of fellow over-50’s learners. Good for any over-50’s who relish using their grey cells; enjoy lively young-minded company; and who are not too old to play! If you’ve done Improv before you’ll know it is challenging and fun - if you havenâ€™t - come and try something new with a really friendly tutor. Susan Richardson is a poet and performer whose fourth collection of poetry, Words the Turtle Taught Me, has just been published by Cinnamon Press. Themed around endangered marine species, it evolved from her recent residency with the Marine Conservation Society. Her previous three collections include Creatures of the Intertidal Zone (2007), inspired by her own, and others’, journeys through the increasingly fragile Arctic environment, and skindancing (2015) which explores human-animal metamorphosis and our intimacy with, and alienation from, the wild and our animal selves. Susan has performed her work at festivals from Hay to Adelaide, on Radio 4 while enjoying a four-year stint as one of the poet-performers on Saturday Live, and on BBC2 to complement their coverage of the Chelsea Flower Show . She is currently poet-in-residence with both the global animal welfare initiative, World Animal Day, and the British Animal Studies Network . 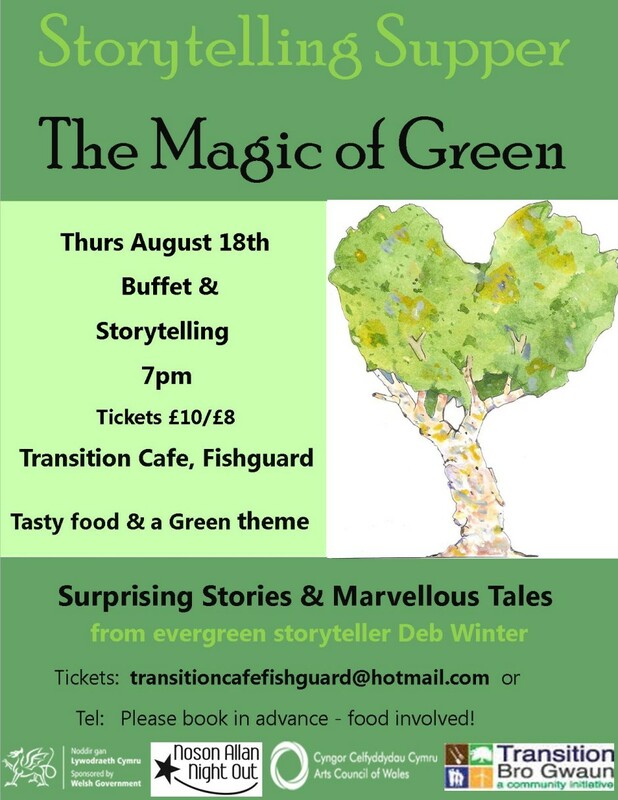 â€‹Storyteller Deb Winter, who worked for Greenpeace, Friends of the Earth, BTCV and the Environmental Trainers Network in another life, has created a number of ‘green-themed’ shows with The Magic of Green, The Green Phoenix, Call of the Wild, the Company of Birds. 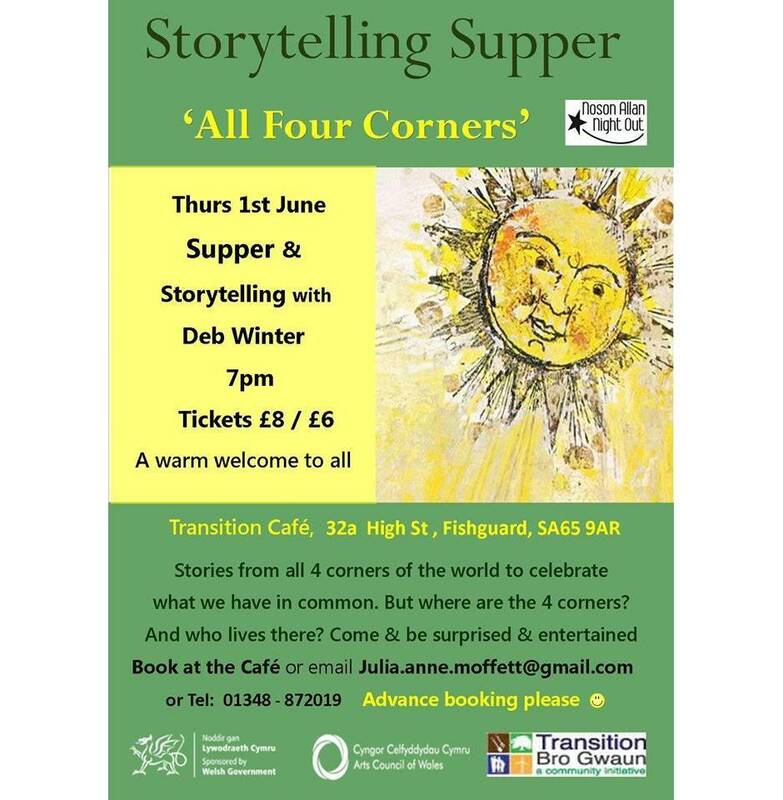 â€‹Deb is an engaging and popular storyteller and has performed at Cheltenham Science Festival, Bristol Storyfest, Swansea Fringe, Tenby Arts, End of the Road and Priddy Folk Festival and well as locally for Fforest, Transition Bro Gwaun, the National Trust at Stackpole. 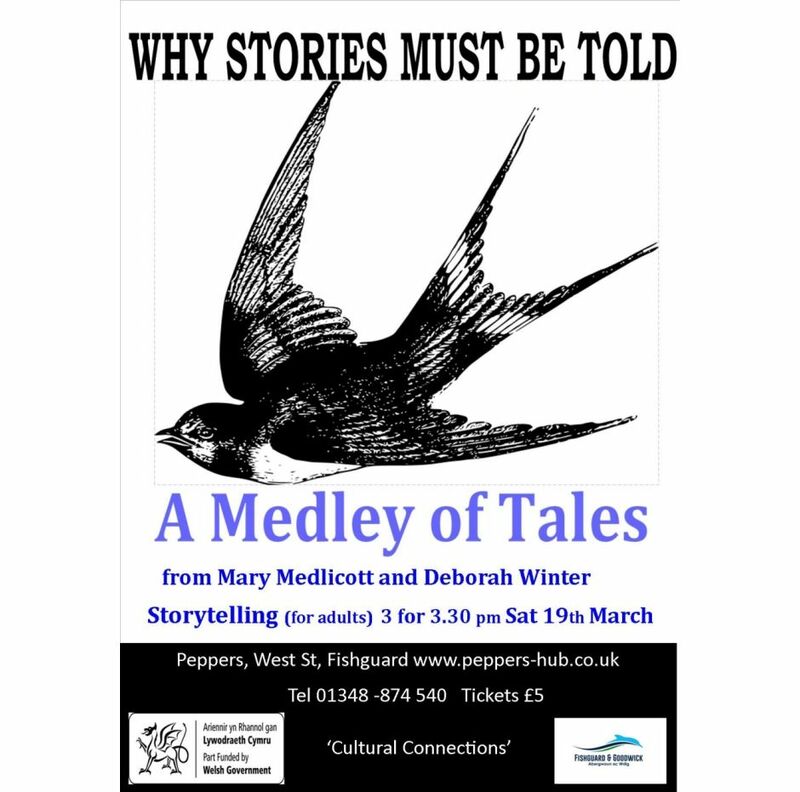 Deb hosts Straeon Gwaun/Fishguard Storytelling at Peppers and has brought some of Wales’ top storytellers to Fishguard. 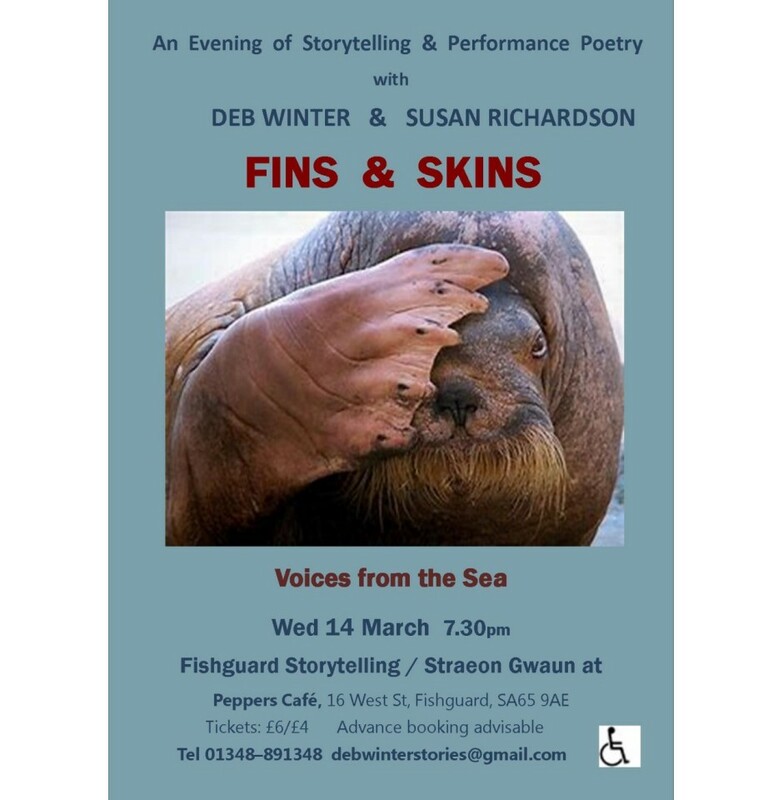 In ‘Fins & Skins’, poet and storyteller are united by a deep love for the oceanâ€‹. 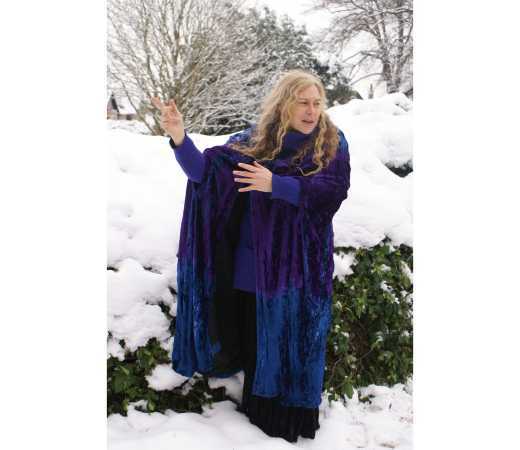 Lively Storyteller Deb Winter presents a medley of strange tales to surprise and entertain you. What is going bump in the night? Who comes in out of the mist? Mysteries and mischief from a playful teller of traditional tales. 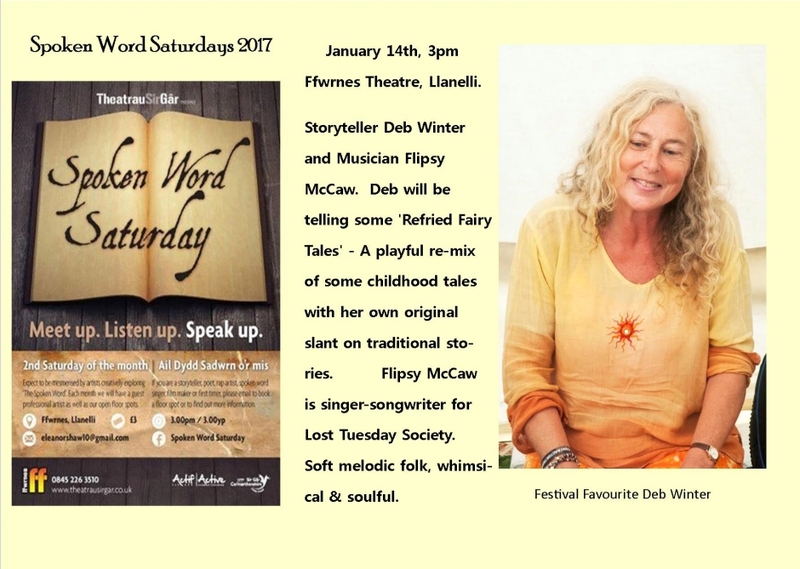 Deb Winter has delighted audiences across Wales and the South West with her mixture of energetically told folk tales and original stories. 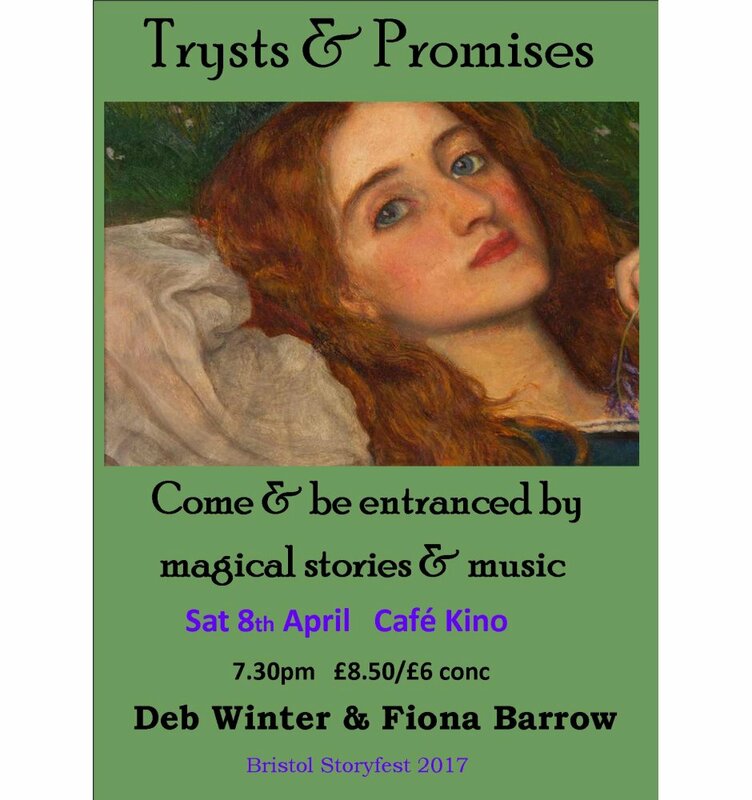 She won the ‘Storyteller of the Year’ award at Bristol Story Slam 2015, taking home the coveted ‘Yarnspinner’ trophy, and her shows in 2016 & 2017 Bristol Storyfest were sold out. 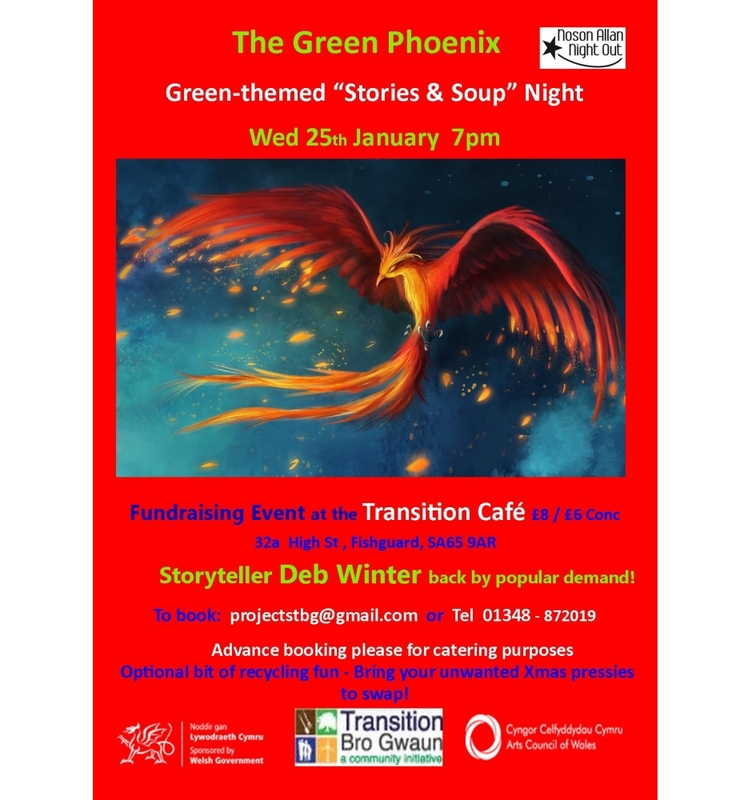 A popular teller on the Story Club circuit and at festivals, Deb lives locally and hosts ‘Fishguard Story Nights/Straeon Gwaun’. 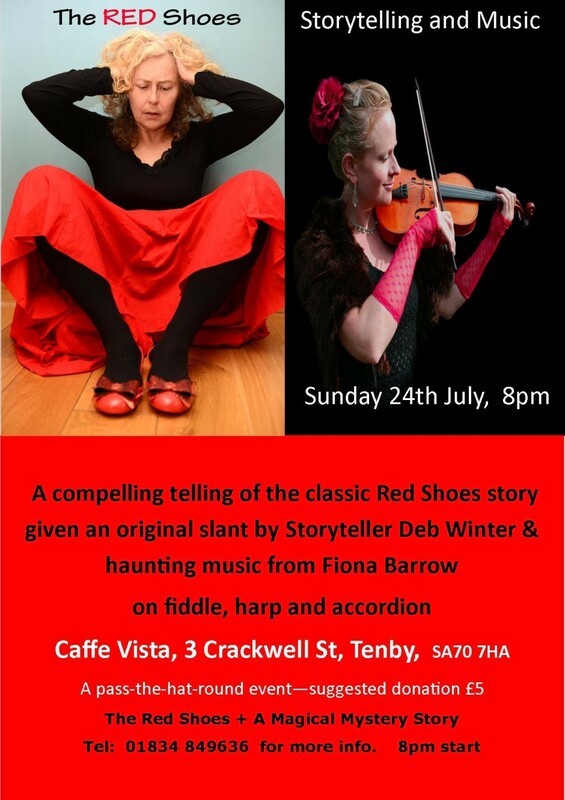 Delyth Jenkins, Deborah Winter and Prue Thimbleby bring you a special show commissioned by the 2016 Gwanwyn Festival: an Evening of storytelling and Celtic harp. A story of love, loss and transformation. Join Deb and Delyth on a magical journey to the stars. Two stories woven together with autobiography and an interactive demonstration of rope making. 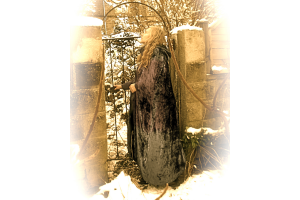 A tryst in a medieval orchard; a journey into forbidden lands; love, redemption and sacrifice. Music: Fiona Barrow is a professional violinist who trained classically and also followed a love of traditional music, playing on the west coast of Ireland for 2 years, and also made a living as a street musician travelling across Europe as a solo act and with various outfits including Tragic Roundabout, Fiasco di Casino, and Swervy World theatre. She toured with the Doppelganger gypsy orchestra playing at Topkapi Palace, Istanbul, Skopje Festival in Macedonia and Tuzla in Bosnia. She played a sell-out run on Broadway with Travelling Lights award- winning show ‘Into The West’ and completed several tours with Kneehigh theatre including ‘Tristan and Yseult’ at Sydney festival, Australia, Wellington festival, New Zealand and Spoleto festival in South Carolina. She also toured for 5 years with singer Eve Loiseau in the hit show ‘Piaf -the Songs’. 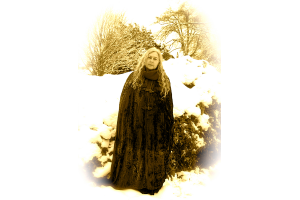 Fiona has composed and performed for storytelling for many years. 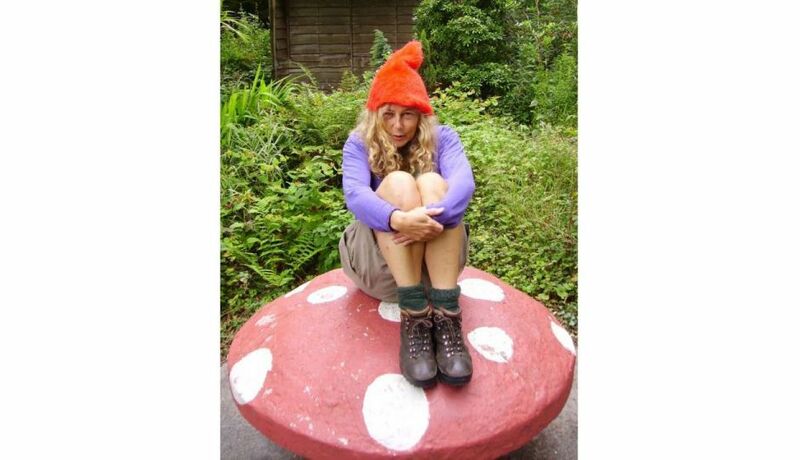 She was musician in residence in Somerset for a year with storyteller Jane Flood, and toured the sell-out show ‘Peter and the Wolf’ with Martin Maudsley, appearing Beyond the Border, Bath Fringe and Sage, Gateshead. Venue: West Wales Art Gallery (Upstairs from Peppers Café), 16 West St, Fishguard. SA65 9AE. Peppers Café will be open beforehand and afterwards for lunches, coffee and cake etc. 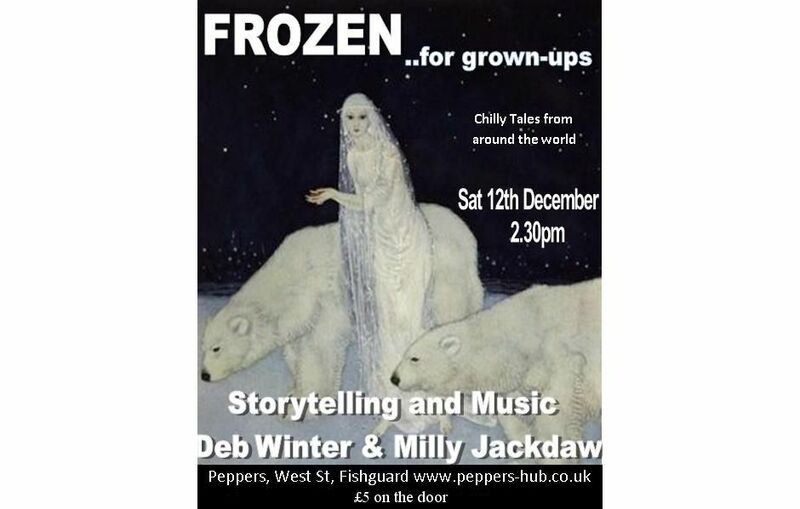 Chilly Tales for a winter's day from two warm and witty West Wales Storytellers. 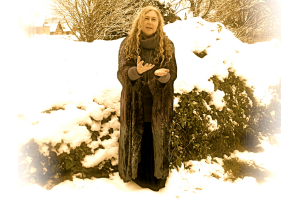 Original songs and music from the mischievous Milly to thaw and chill you by turn. Bring your hat and gloves and chill out with us at the West Wales Art gallery (upstairs, above Peppers). Venue: The No Sign Wine Bar, Wind Street, Swansea. Take a walk on the wild side with stories as old as the forest and as strange as love. Tickets: £5 Available from Seaways Bookshop, Fishguard and on the door (bar licence). 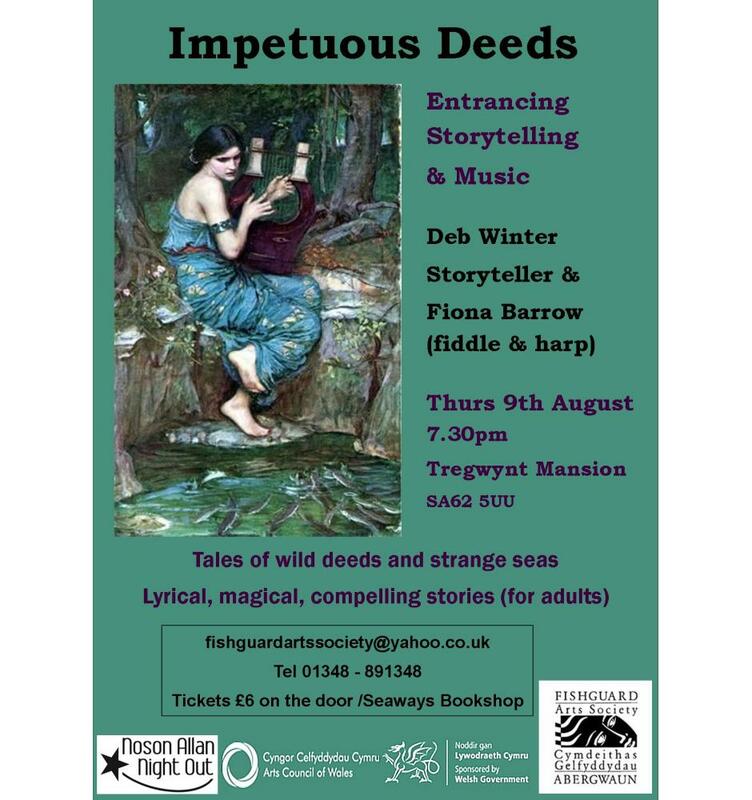 An enchanting evening as harpist Delyth Jenkins and storyteller Deborah Winter weave their magic together to transport you into other realms. 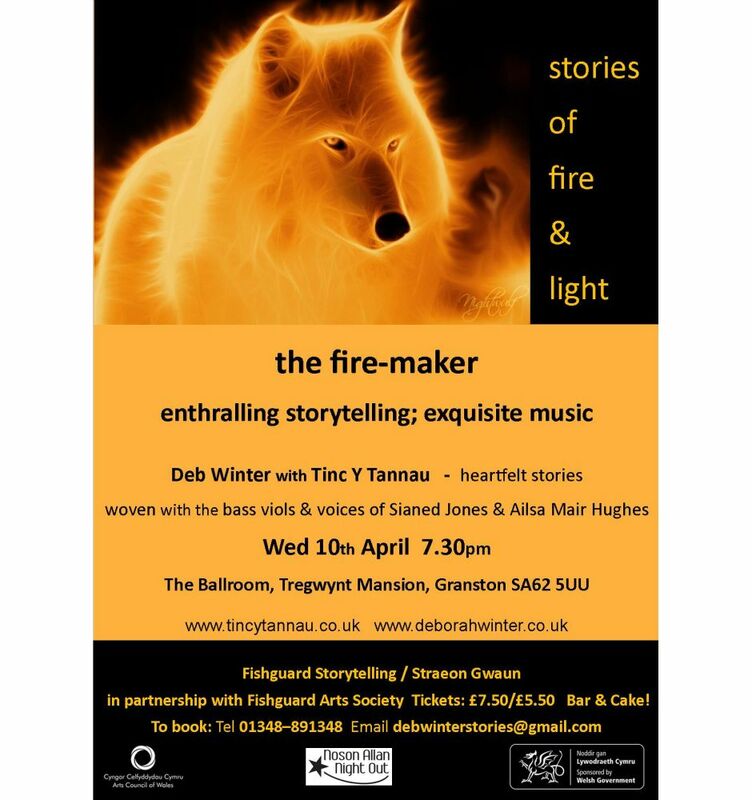 Delyth, described in Taplas as ‘one of Wales’s most accomplished and compelling Celtic harpists’ beguiles audiences with a seductive range of musical emotions, from sparkling enthusiasm to a hypnotic serenity and tenderness. This range is mirrored in Deborah’s energetic storytelling, which can rollercoaster from the sorrows of the human heart to irrepressible humour in a moment. 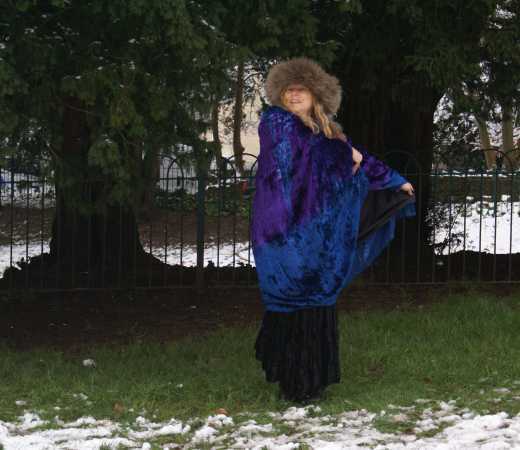 ‘The Strange Dance’ is an imaginative retelling of some intriguing traditional stories wrapped around with the multi-coloured tapestry of Delyth’s music. Dare you put on your Red Shoes and be transported into the world of faery? It is not always easy to come back…. Time: 11:00 a.m. - 3:00 p.m. STORIES BY THE SEA Come and hear about the strange creatures that live under the sea and the ghostly galleon crewed by pirates. 11 - 11.45. Repeated 12 - 12.45. 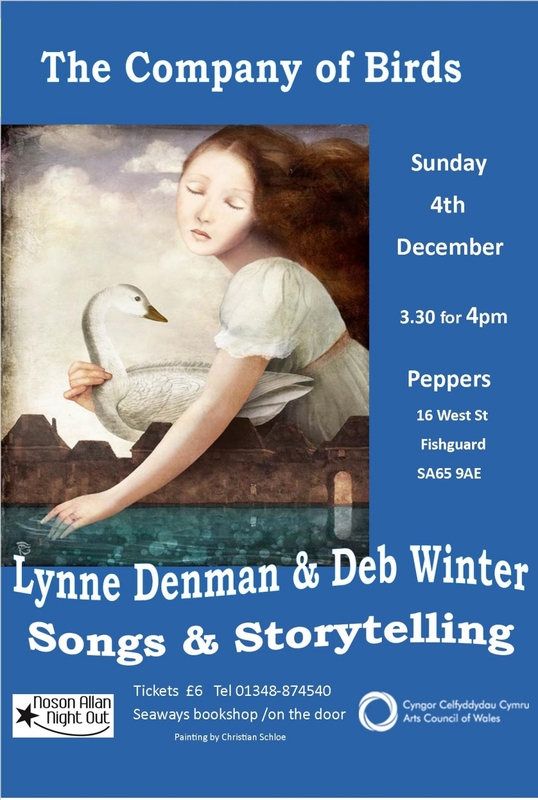 Stories from Deb Winter 1-3pm. Making up Stories together. 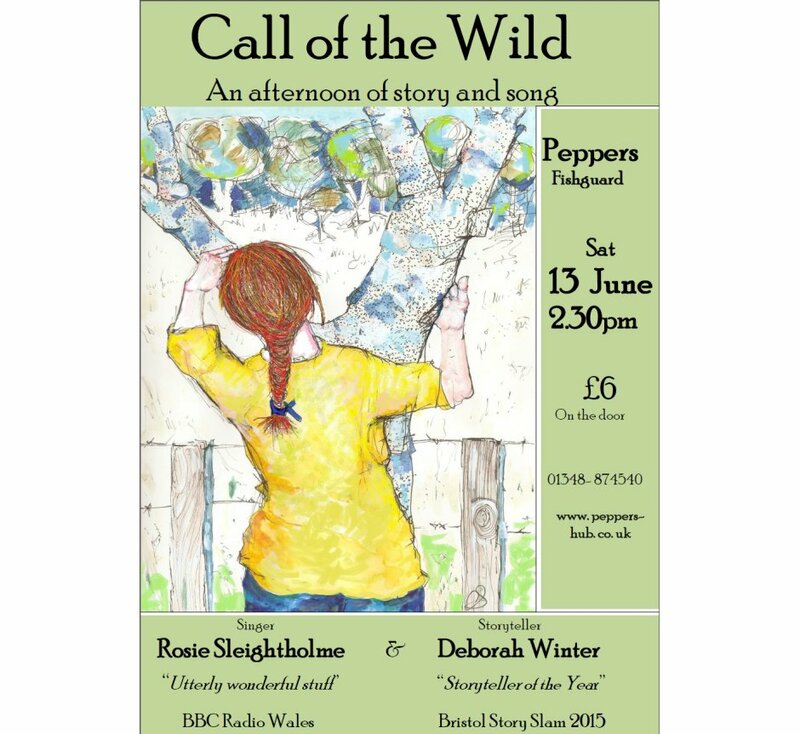 Saturday, June 13th at Peppers Café in Fishguard. 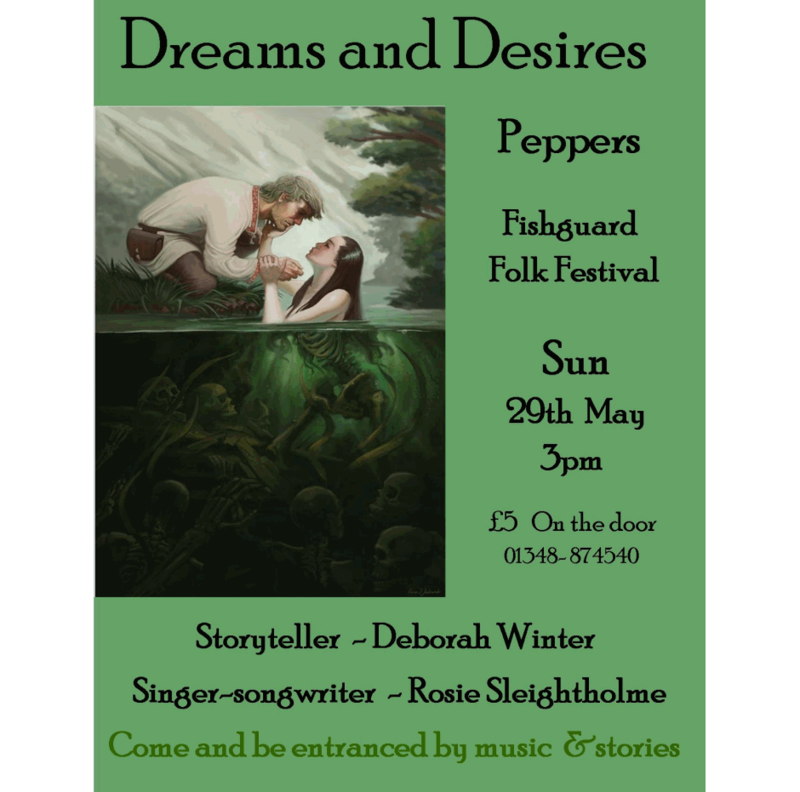 Venue: Peppers, 16 West St, Fishguard. SA65 9AE. 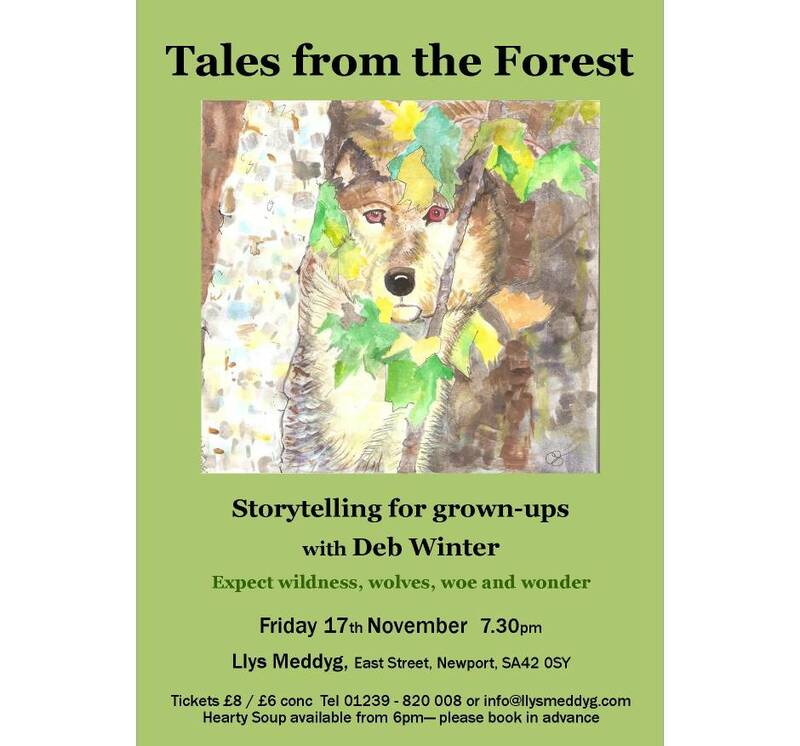 Join singer Rosie Sleightholme (“Utterly wonderful stuff” - BBC Radio Wales) and storyteller Deb Winter (“Storyteller of the Year” - Bristol Storyfest 2015) as they weave a blend of original and traditional songs and stories, taking you on a magical journey into forbidden forests, wild seashores and strange lands. "Once Upon A Time there was a Storyteller so entertaining and enthralling that whole audiences fell off their seats laughing or fell silent with amazement and never spoke again……"
Well, ok, that's an exaggeration but audiences do get totally absorbed in my stories - sometimes it's so quiet you could hear a mouse scratching its ear; at other times there is much chuckling and guffawing. I like to take traditional stories and give them a tweak or a twist. I like to touch the heart or tickle your laughter organ. I love words: powerful, juicy, voluptuous, fiery, sensuous and comical words. Words that will draw you into the deep dark forest or into the scented Arabian night. Words that will keep you in the story until the demon is defeated or the poor man finds his princess. 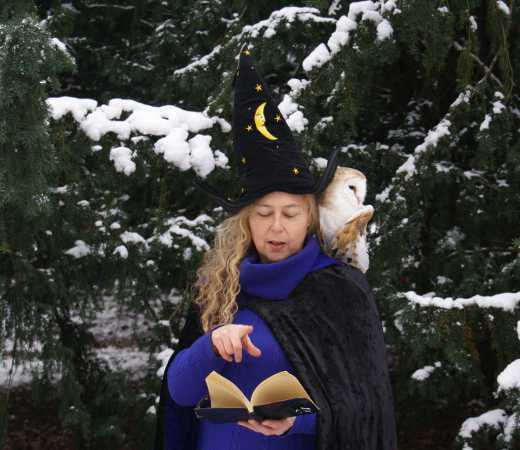 Entertaining, interactive Story Workshops for schools or children's groups. Designed to encourage creativity and confidence and widen vocabulary. Children gain fluency with words and greater powers of description. Sessions can be themed to fit your curriculum. Storytelling makes stories fun and exciting, encouraging children to read more and make up their own stories. Fairy Tales with a twist; myths and legends; folk tales from around the world; wonder tales and strange adventures. Humorous, action-packed, magical, moving, mysterious or surprising. You can book me for Festivals, Ceremonies, Public or Private Functions, Medieval Fayres and Banquets; after-dinner entertainment or to enhance any occasion you choose. If you'd like to be a Storyteller, or simply gain confidence about speaking in front of an audience, this course is for you. 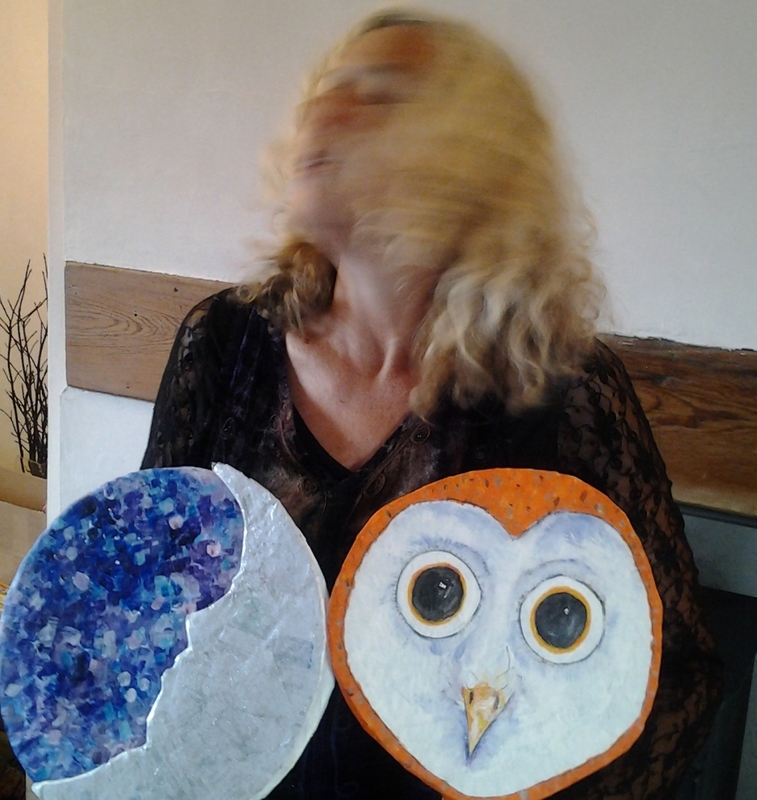 A fun, relaxed and supportive day, building your skills gently until your Inner Performer bursts forth. Lots of fun, lots of practice in a safe atmosphere, lots of help from a skilled storyteller to develop your own unique voice. You'll be surprised at how much you'll enjoy this course - you won't want to go home! Unknown (unbearded) lady at the front of the audience!